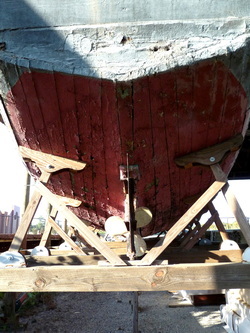 In September of 2010, I led a TLS survey of the 140-plus year old Schooner Virginia. Using two Leica C10 laser scanners, 73 million points were collected over ten scans, requiring less than four hours. On average, the points surveyed on the Virginia are one centimeter apart and are accurate to within four millimeters. This level of detail captures an accurate record of the ship in its current state. Such a record is necessary to understand ship construction, how the ship was modified over its 140-plus year career, and to begin mapping out a plan for preservation. 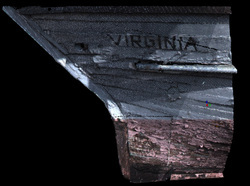 program was interested in working with a model of the Virginia, so a meshed surface was provided for her to use in her thesis. The Maritime Archeology department had been surveying the Virginia with a total station. Our survey provided both mesh and point cloud data allowing for a quicker and more accurate assessment of the ship in its current state, providing the student and the program with significant time savings compared with more traditional survey methods. After the survey was completed, I provided the Columbus, Georgia, Civil War and Naval Museum with a brief description of Laser Scanning Technology and how we surveyed the Schooner Virginia. 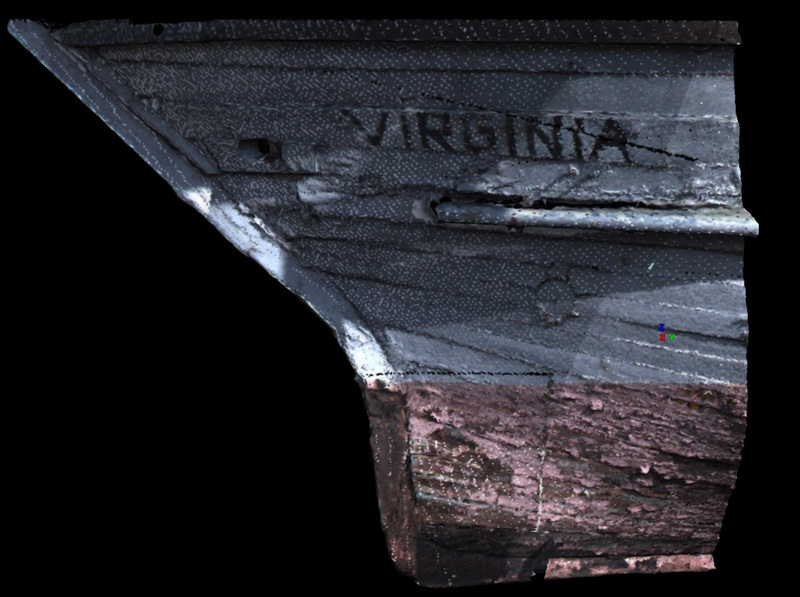 Model of Virginia's bow section with RGB color overlay. crowded space around the boat made required careful placement of scan positions. This work was funded by Niccole Wittig (ECU Maritime Studies) and is a part of her masters thesis research.